Everybody likes to swim and especially in summer we love more. Many people don't know about the health benefits of swimming but they still love it. Swimming is an absolute way to maintain your health, mentally and physically. Swimming is also a fun and good way to be fit and healthy. It is a brilliant workout because while you swim your whole body needs to move in opposition to the resistance of the water. There many health benefits of swimming such as maintains your heart rate, boosts your endurance, tones, and muscles. Swimming also supports to keep a healthy weight and a workout for the whole body. It is considered an easy workout and well known for increasing coordination, lowers stress and increases flexibility. If you desire to lose your weight faster then swimming will the right choice for you. As there are many health benefits of swimming is weight loss is one of them. A study gave the result of an hour of strenuous swimming can help to burn nearly 715 calories. Another research which was done at the Indiana University found that swimmers recreational fitness swimmers had trimmer waists an hips more than of those non-swimmers. Swimming is good for heart health because it improves your heart rate which aids to strengthen your lungs and heart. Some research has shown that swimming can even lower the death risk compared to who doesn't swim. Swimming also helps to reduce blood pressure and maintains blood sugar. Swimming helps to mitigate stress because it has effects of mood-boosting and surprises your stress levels. If you swim for 30 minutes then your body gets relaxed and gets out of stress. Therefore, swimming mitigates your stress level. Those people who are suffering from asthma needs to go swimming because it is very effective for asthma. This chronic lung condition like asthma suffered people can take benefit from swimming workouts because of the moisture from the water substitute the moisture expelled during robust breathing. 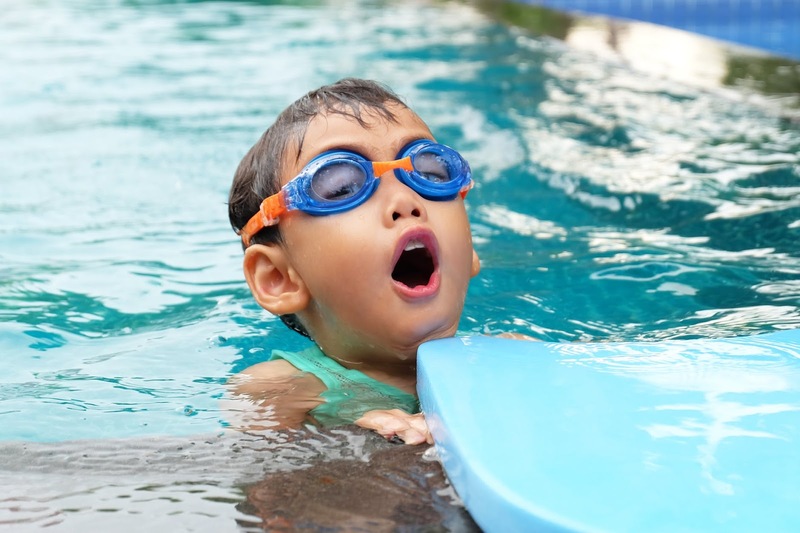 Swimming is good for lungs because the body adapts to take more oxygen in an effective way during swimming. The body learns to intake the fresh air more with every breath and evacuate more carbon dioxide. 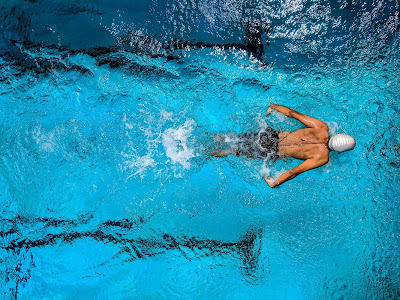 Swimming increases the energy level at the top because when you are swimming all the muscles of your body are working and the body is charged. Swimming for 30 minutes will help you to make more active on the whole day. Swimming may lower bad cholesterol (LDL) and encourage the improvement of good cholesterol. It helps to maintain your cholesterol level. Also, swimming is beneficial to your body because it helps to maintain and give a good shape. Swimming has great power to help you a good sleep at night. If somebody has insomnia then he/she can start swimming to get better sleep at night. Swimming is one of the best workouts to improve your sleep. So to get a better sleep then just simply go swimming. Swimming is one of the biggest workouts to make your muscles strong. It is also called the biggest benefit of swimming. You have to move the whole of your body while swimming which strengthens your muscles. It helps to increase endurance and strength. Swimming helps you to make smart by increasing your memory power and thinking ability. Also, in the brain, it lowers inflammation and insulin resistance that encourages new brain cell development. Swimming is also considered to improve good mood and decrease stress.